Riverside Mill in Historic Weldon, NC Riverside Mill combines an antique mall and artisan’s gallery in a historic cotton mill on the banks of the Roanoke River. Scenic river overlooks, antiques, estate jewelry, silver, furniture and collectibles give shoppers and visitors a unique experience. 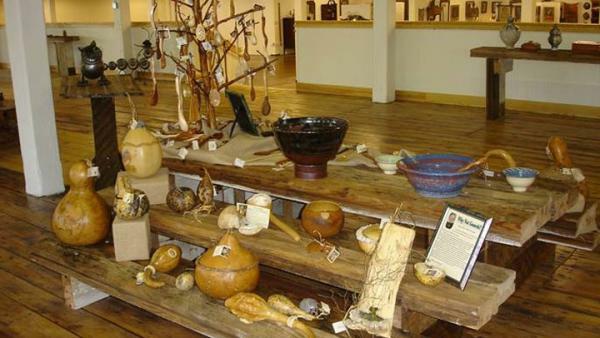 American Craft including pottery, glass, jewelry, metal and wood represent the best in national, regional and local American Craft with a strong emphasis on North Carolina artists.